Reserved for Francoise. 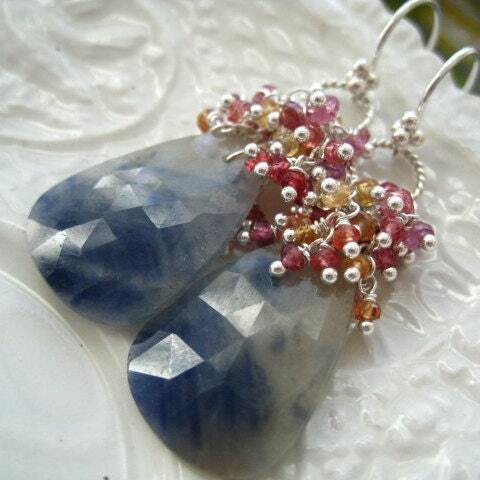 Rose cut sapphire briolettes, flat on the bottom, and faceted on top, make up the "Blue Skies" earrings. 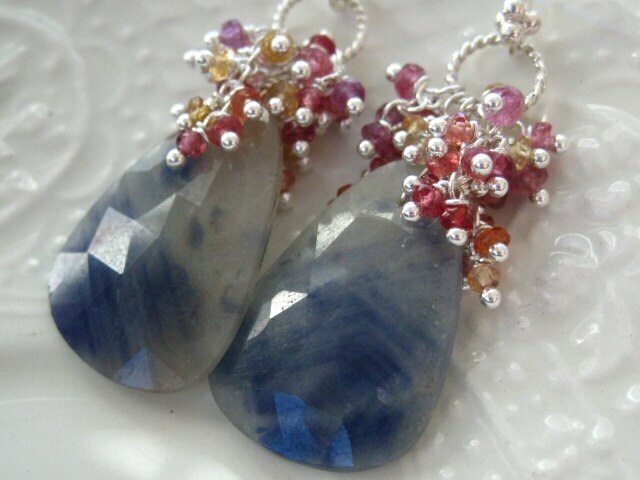 Mainly blue, with white and silver, these sapphires are a nice size (24x16) and very light weight. 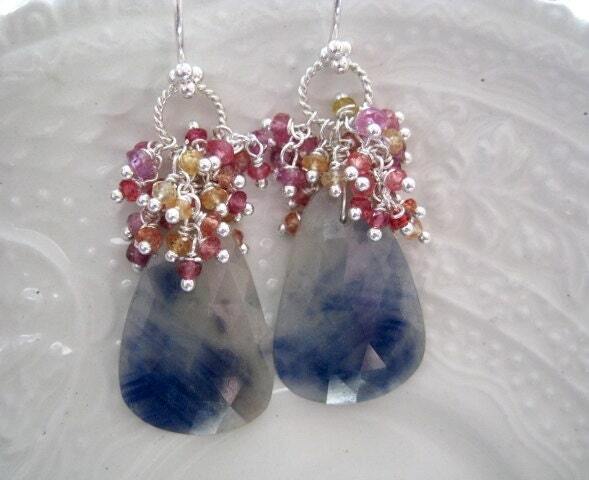 Topped with dozens of multi colored sapphire rondelles in shades of orange, yellow and pink, they are a bright and cheerful pair of earrings. Bohemian luxury. All metal used is sterling silver. Your "Blue Skies" earrings will ship USPS Priority Mail with tracking in the US, and will be packaged in a lovely gift box tied with ribbon.